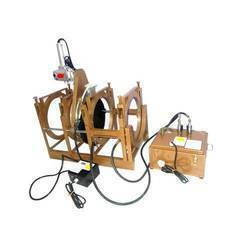 We are a leading Manufacturer of hdpe pipe jointing machine from Una, India. With an aim to stand tall on the beliefs of our clients, we have come up with a wide assortment of HDPE Pipe Jointing Machine. Our provided cutting machines are developed using the finest quality of components leading techniques in sync with the norms of the industry.